The Core i7 chip from Intel is, no doubt, the beefiest and fastest processor available in consumer laptops currently. However, despite its undisputed track-record, the fact remains that no two Core i7 laptops are exactly the same. This review is, therefore, dedicated to identifying some of the leading machines that pack this high-end processor. 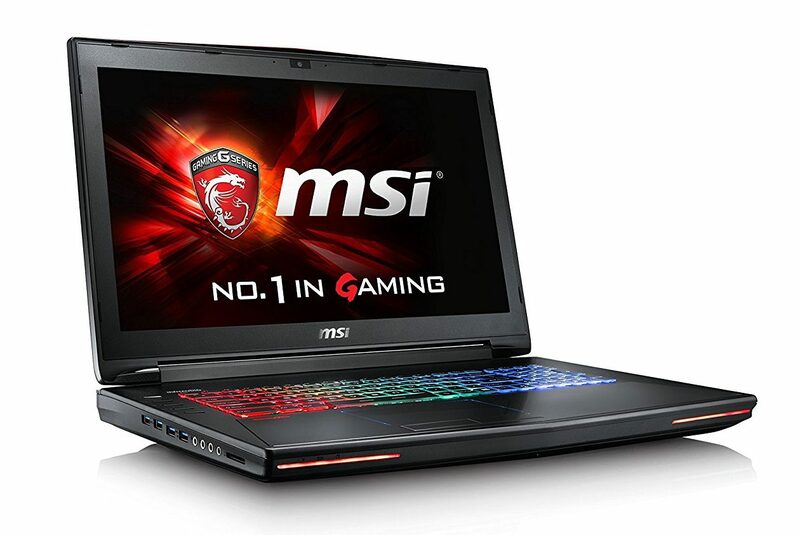 The GT72S from MSI is one of the most affordable gaming laptops on the market currently. It looks great and has a well-made RGB keyboard. Indeed, the GT72S also comes with a powerful and reliable display. We also like the fact that it packs an above-average battery. Not only is this rig good for gaming but also ideal for day-to-day computing. That means you can even use it for business presentations and even researching. The main reason for including it in this run-down is the fact that it comes with an Intel i7-6820HK processor. This particular chip is a quad-core processor. Introduced in the market in late 2015, this is the only Skylake architecture chip which comes with an unlocked multiplier. In other words, this is one of the few processors designed with an enhanced potential of overclocking. The processor operates at a base frequency of 2.7GHz although it can be turbo-charged to attain 3.6GHz. Add that to the fact that it comes with 2 8GB RAMs and you have one of the most reliable chips for gaming, graphic design, and office use. 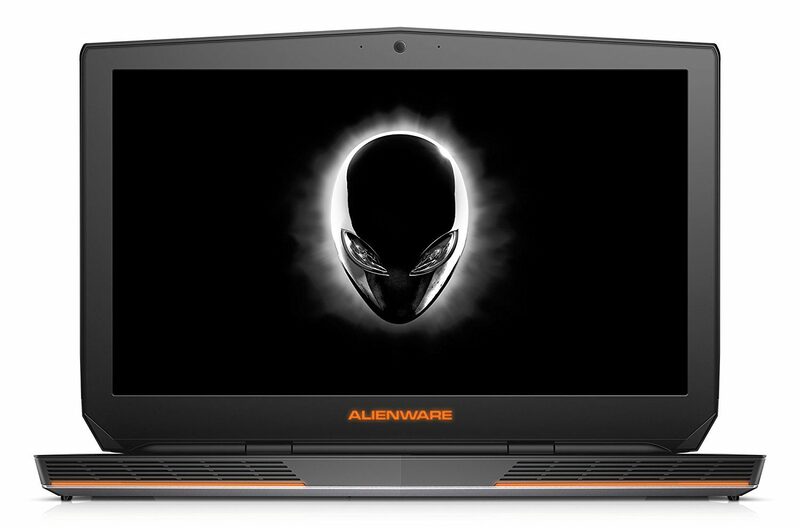 Yet another hardy machine to make it to this list is this Alienware monster which also packs an NVIDIA GeForce GTX 970M graphics card. Not only is this laptop hardy but also quite effective at relaying HQ graphics. 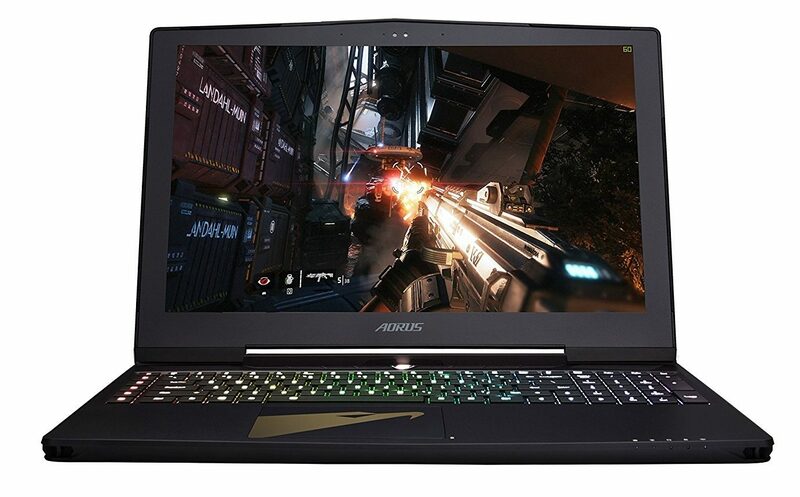 Its powerful graphics card comes as a bonus for anyone who would like to try gaming. But even more importantly, the Alienware boasts a minimalistic design which makes it ideal for professional use. Besides that, this laptop provides you with a 1TB HDD storage. Some of its variants come with 128GB SSD and 256GB SSD respectively. As you know, the SSD storage type is quite good at enhancing performance. Beneath this seemingly infallible rig is an i7-6700HQ processor that provides a 2.8GHz base frequency. Launched in 2015, this is yet another one of the Skylake architecture processors. It’s particularly renowned for its prefetching performance all thanks to its well-thought-out hyperthreading. So, you can go ahead and push this machine to the limits and rest assured that it’ll not be bogged down. Most importantly, its processor is pretty energy-efficient meaning it’s a great choice for anyone looking for a powerful rig that saves power. 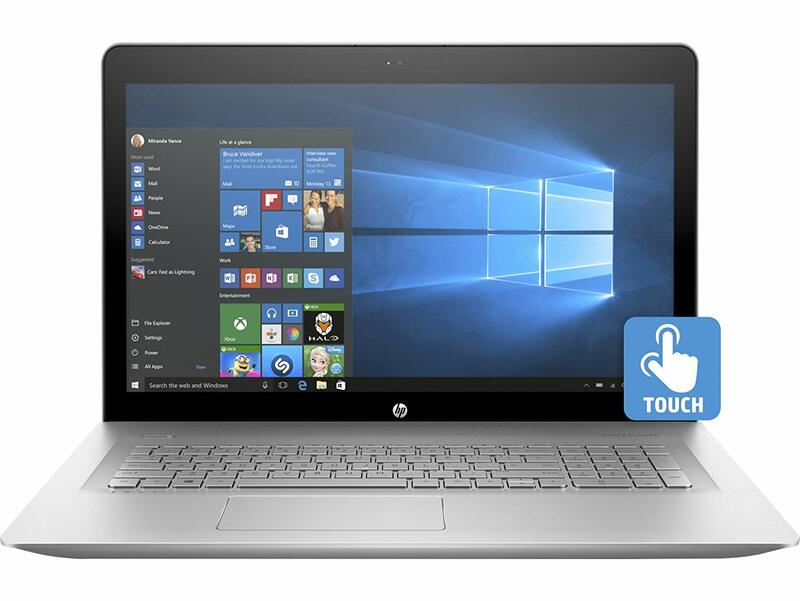 The Envy 17t is probably one of the most sought-after laptops from HP. That’s because it comes with a powerful RAM which comprises two 8GB SDRAMs. In addition, the sleek machine features a 512GB SSD memory which goes a long way in boosting its internal storage without compromising on speed. You also get an NVIDIA GeForce 940MX processor with a dedicated 2GB DDRS. Therefore, you can go ahead and experiment with video editing, graphic design, and entry-level gaming with this rig. The icing on the cake is that the machine packs an Intel Core i7-7500U processor with a base frequency of 2.7GHz. This is, however, a dual-core processor which makes it leaner than other quad-core processors of the 7-th generation. That said, the HP ENVY’s processor is based on Kaby Lake architecture. And the sweet spot with it is that it integrates hyperthreading which ensures that the workload is distributed evenly. That translates into a reliable and consistent performance. 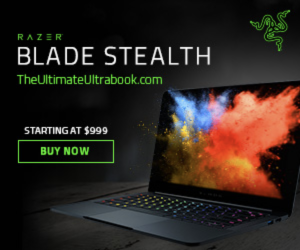 What if you could find a machine that can handle all FHD gaming titles and still leave you with lots of room for browsing, skyping, and streaming? The Asus VivoBook Pro is probably the sweetest deal you’d find with an under 1500 budget. Its Core i7 line of laptops is available in two variants. The 16GB RAM 256GB SSD, and 1TB HDD variant is by far the most popular. However, you can always cough out a few more bucks for the 16GB RAM, 256GB SSD, and 2TB if looking for extra storage space. 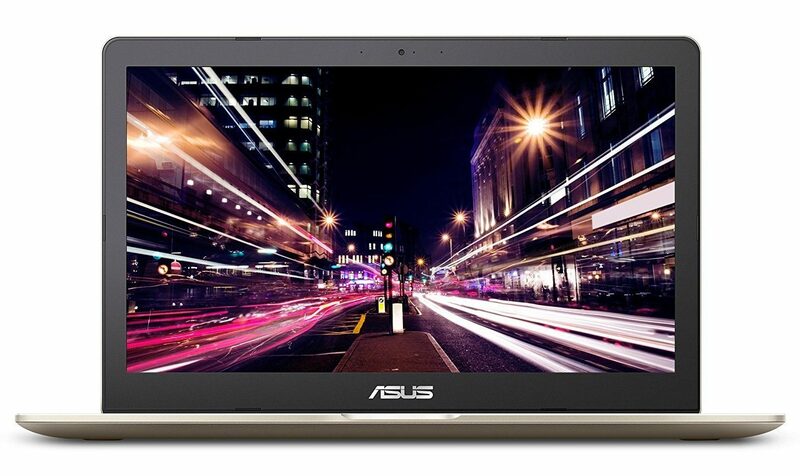 The Asus packs a 7-th generation processor. This is actually a Core i7-770HQ quad-core processor which is probably one of the best Kaby Lake architecture chips available to-date. One thing we’d like to note about this chip is that it has a reputation for running fast while remaining cool. That explains why the Asus VivoBook Pro is best suited for business and gaming. Who said you have to cough out amounts in excess of $1000 to get a Core i7 laptop? 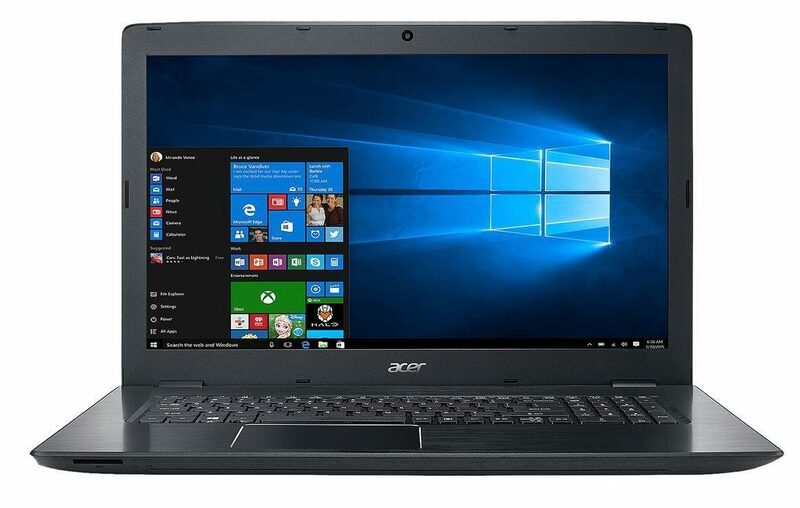 The Acer Aspire E15 is perhaps the most powerful computer going for under a grand currently. The machine comes with a Core i7-7500U chip with a 2.7GHz base frequency and a potential to be turbo-charged to clock 3.5GHz. Since this is a dual-core processor of Kaby Lake microarchitecture, it packs loads of operational power. And thanks to the fact that it’s hyperthreaded, it also does a stellar job of distributing the workload. That way, all of its cores get nearly equal demands – and that ensures the machine performance remains stable in the long-run. If you’re willing to put up with a few necessary driver updates but end up with a superior Core i7, the Dell XPS9560-7001SLV-PUS is for you. In fact, the machine packs a GTX 1050 graphics card which comes in handy for entry-level gaming and graphic design tasks. We also like the fact that this machine has a powerful display. The 4K UHG touch display provides you with a decent 3840 x 2160 display. However, having all those features and a poor processor wouldn’t make any sense. 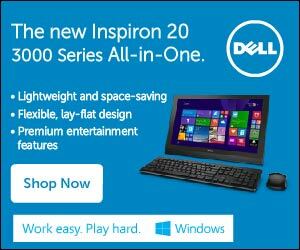 So, what does the XPS have under its hood? Well, to our satisfaction, it packs an Intel Core i7-7700HQ processor. Best of all, the quad-core chip provides you with a 6MB cache memory. The 6MB cache memory comes in handy in boosting the performance of repetitive tasks. Of course, we’d have wished for more than 8MBs but considering that this machine goes for an under 2K price, we’re pretty satisfied with what it offers so far. 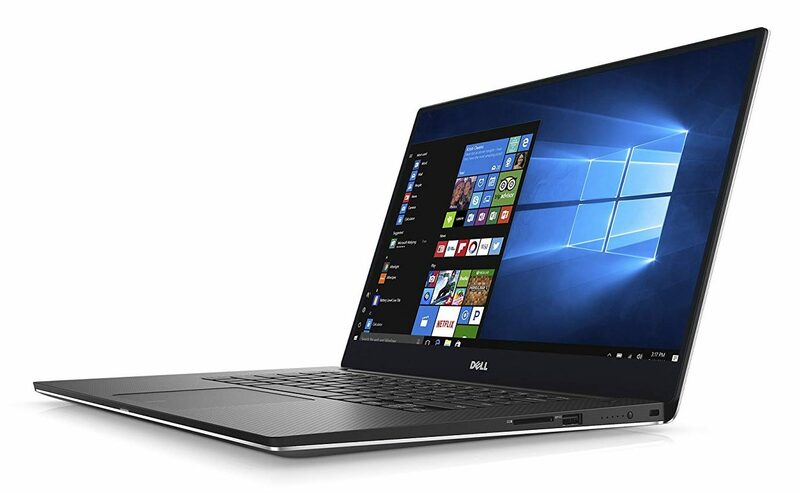 The XPS is ideal for light-duty FHD gaming, office use, graphic design, Photoshop, research, streaming movies, among other tasks. We all know how good Apple MacBooks are especially when it comes to reliability and power efficiency. The MPTR2LL/A breed of MacBooks is particularly renowned for its great graphics. These can be attributed to the Radeon Pro 55 graphics card they come with. In fact, the card provides you with a 2GB dedicated memory which comes in handy when dealing with heavy-duty tasks. Further, the laptop comes with a 256GB SSD memory. It’s no wonder it has such a fast boot up time. However, we still think that a 256GB SSD is a bit too lean for a machine that goes for close to 2 grand. 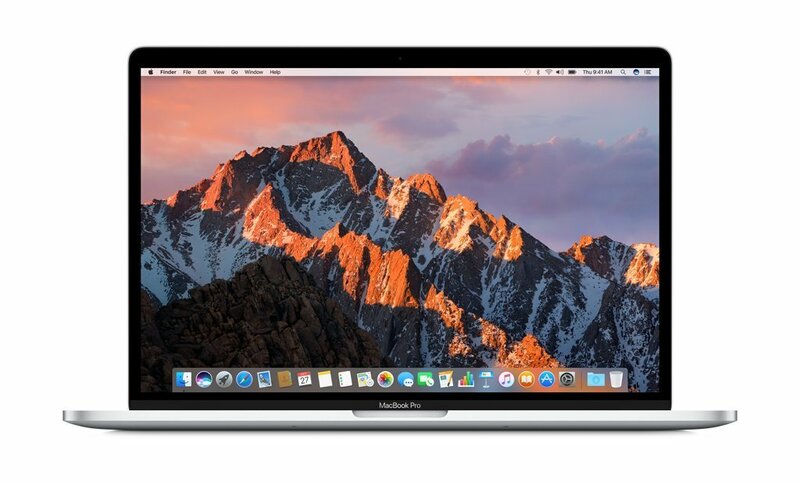 Under Apple MacBook Pro MPTR2LL/A comes with a chip that’s based on Coffee Lake architecture. The processor is reputed for its performance in gaming laptops, workstations, and notebook use. The fact that this machine packs it alongside a 16GB RAM means you get a unique opportunity to experience the real power of the latest release from Intel. 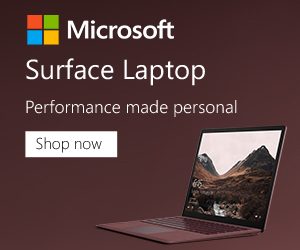 Microsoft is known for its ability to create awesome software products though it seems they’ve also started investing heavily in hardware products as well. 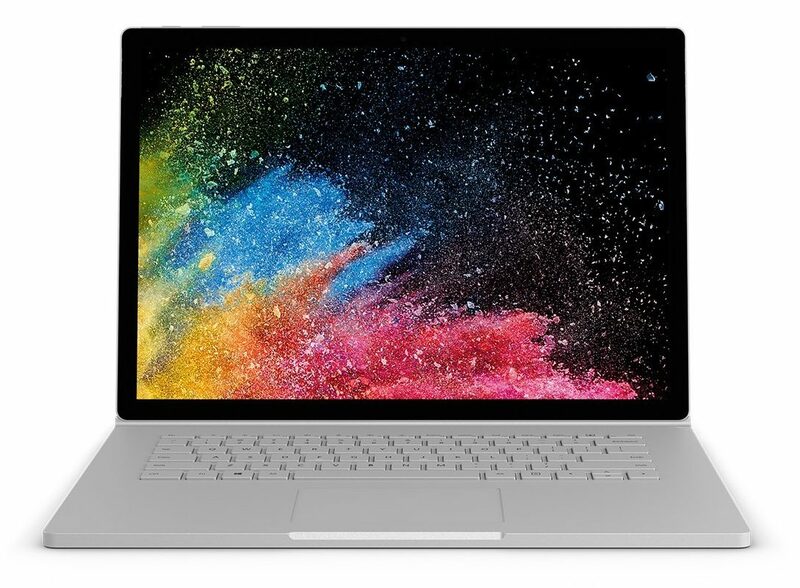 Indeed, the Microsoft Surface Book 2 attests to the fact that the renowned company is ready to disrupt the markets with its innovative PCs. The Surface Book 2 packs an Nvidia GTX 1060 GPU graphics card. That’s a powerful card that’s perfectly suited for entry-level gaming. And to make sure you have all the power needed to handle some heavy-duty tasks, this unit presents you with a 512GB SSD memory. For those looking for award-winning graphics, the Surface Book 2 offers an ultra-sharp display. This runs at a 3,000×2,000 resolution. As such, the display is pretty rich and vibrant. Moving on, this machine is powered by an Intel Core i7-8650U quad-core processor. This high-end chip is best suited for business laptops. And thanks to its quad-core design, it boasts a superior overclocking potential. Needless to say, this is one of the fastest chips on retail currently although it’s inferior to the i7-8850H and i7-8750 chips. We’d recommend the Surface Book 2 for every day and business computing. Its chassis is, however, a bit too delicate for field research and/or serious gaming. Calling this laptop powerful would be a serious understatement. It’s a monster, in our opinion. Picture this – it comes with an NVIDIA GTX 1070 graphics card! For those of us who know a thing or two about gaming, this is probably the greatest graphics card from NVIDIA this far. Looking for a machine that allows you to enjoy some AAA titles at a great framerate? This is the kind of machine you should have on your bucket list. Its superb screen boasts a fast refresh rate of 120Hz. That’s in addition to a G-SYNC functionality complete with a wide view. Besides the powerful display is a superior cooling system based on the ROG 3D Mobile Vapor Chamber technology. That’s precisely the kind of system you need to enjoy an optimized GPU performance. On top of that, this VR-ready rig presents you with an 8 cell Li-ion battery pack and a well-made keyboard. 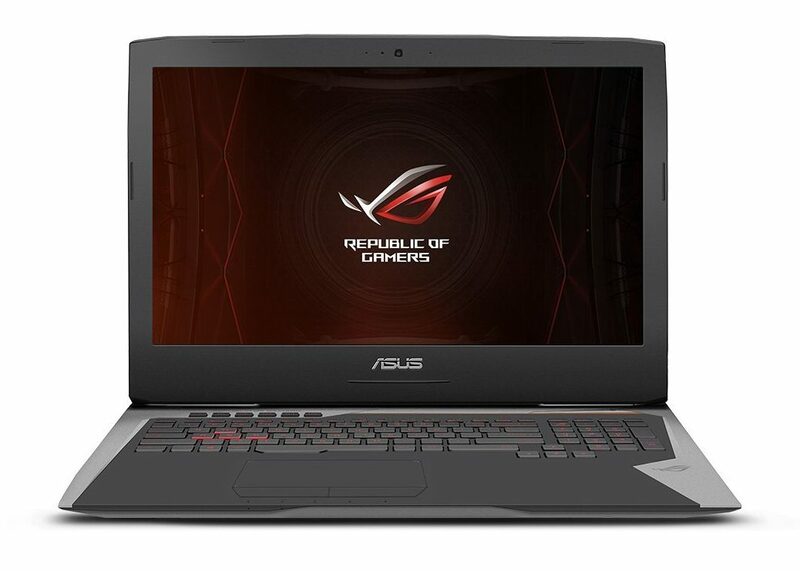 Finally, the Asus ROG is powered by a Core i7-7820HK processor. The quad-core chip is based on the Kaby Lake architecture which makes it superb for most (if not all) demanding tasks. However, Core i7-7820HK is a lower tier chip compared to Core i7-8750H and Core i7-8850H found on other rigs in this review. If you’re looking for a gaming rig with awesome graphics and an ultra-powerful i7 processor, the AORUS X5 might be worth trying. Right off the bat, the machine provides you with an anti-glare display support which is further powered by an NVIDIA G-SYNC feature. As you know, IPS screens are probably the best there is on the market currently. When paired up with the latest NVIDIA GTX 1070 GDDR5 graphics card, the X5’s display certainly stuns. On top of that, the X5 offers a superb mix of 16GB RAM and 512GB SSD (plus 1TB HDD). So, you’re looking at a machine that seems to have every unique need well taken care of; this one is for you. And to top it all up, the full aluminum light gaming rig packs a Core i7-8850H processor. That’s the most advanced chip on retail so far which is why we truly think the AORUS X5 is a sure winner. We’d recommend it for multitasking, video encoding, graphic design, gaming, 3D rendering and so forth. You can never go wrong with a well-made Core i7 laptop. But if you’re really choosy and looking for a machine that’s capable of delivering record-breaking speeds, there are a few more features you should look into. 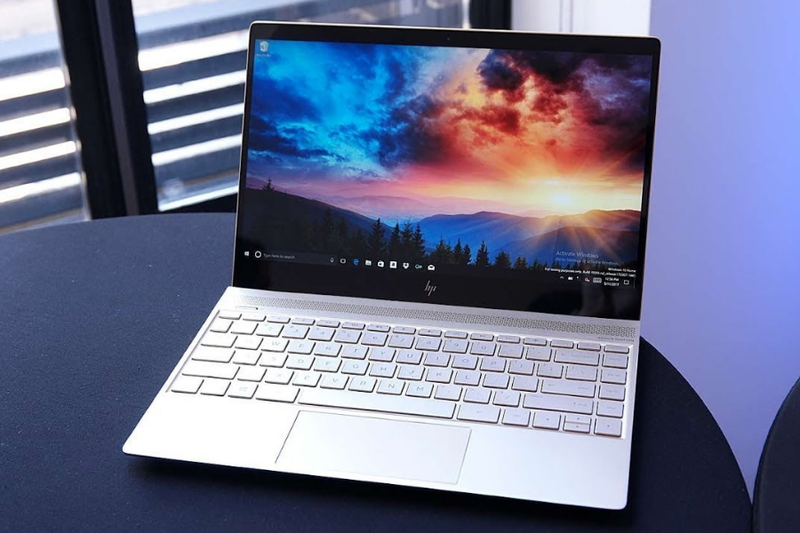 For instance, Coffee Lake processors among them Core i7-8850H and Core i7-8750H are known to be superior to the like of Core i7-7700HQ and Core i7-7820HK. Further, most 7-th generation i7 processors are stronger than the 6-th generation types, among them Core i7-6820HK and Core i7-6700HQ. But as it turns out, you don’t always have to invest in the latest and beefiest chip. All you need to do is consider your unique computing needs and budget constraints so you can make an informed choice.